Mustafa-aga was born on November 13, 1943 in the village of Bozkoy in the Steppe Crimea. It was here that his parents were evicted from the village of Ai-Serez (now Mizhrichia) of the Sudak region of the Crimean ASSR. May 18, 1944, Dzhemilev, together with the entire Crimean Tatar people, was deported from the Crimea to the Uzbek SSR. Later, in 1969, he became one of the founders of the Initiative Group for the Defense of Human Rights in the Soviet Union. For his activities he spent about 15 years in prisons. After the criminal case against him in the 1970s, he went on a hunger strike to protest, which lasted 10 months. Already in 1989, Mustafa Dzhemilev together with his family was able to return to Bakhchysarai. Before his return, he was elected in absentia as Chairman of the Central Council of the Crimean Tatar National Movement. In 1991, when the representative body of the Crimean Tatars - the Qurultay of the Crimean Tatar people held session first in a long time, the presidium of this organization was elected, namely the Mejlis of the Crimean Tatar people. Its Chairman was Mustafa-aga. On August 20, 2014, by the decree of the President of Ukraine Petro Poroshenko No. 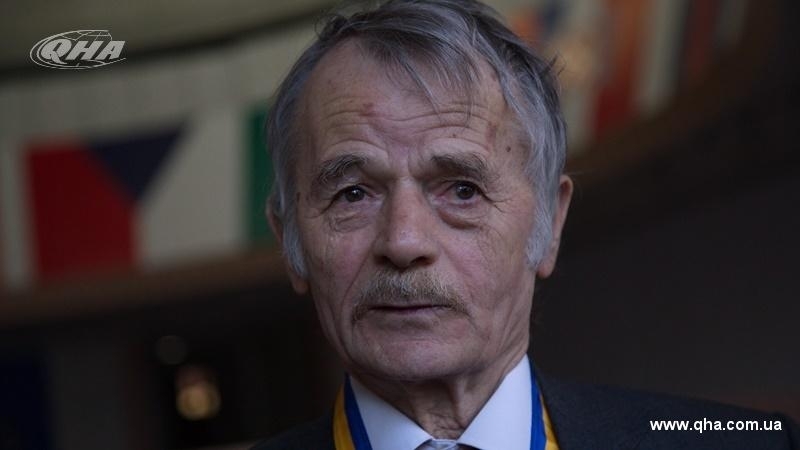 657/2014, Dzhemilev was appointed a Commissioner of the President of Ukraine for the Affairs of Crimean Tatars. During his life, Mustafa Dzhemilev became an Honorary Doctor of Laws at the Selcuk University (Turkey), a laureate of the International Prize named after P.Orlik "For the Democratization of the Ukrainian Society", and was awarded the Nansen Medal (UN), the Order of Prince Yaroslav the Wise of V and IV degrees. QHA congratulates Mustafa Dzhemilev on his birthday and wishes a speedy return to the Ukrainian Crimea. Russian senator threatened to block Sea of Azov for Ukrainian ships "in minutes"